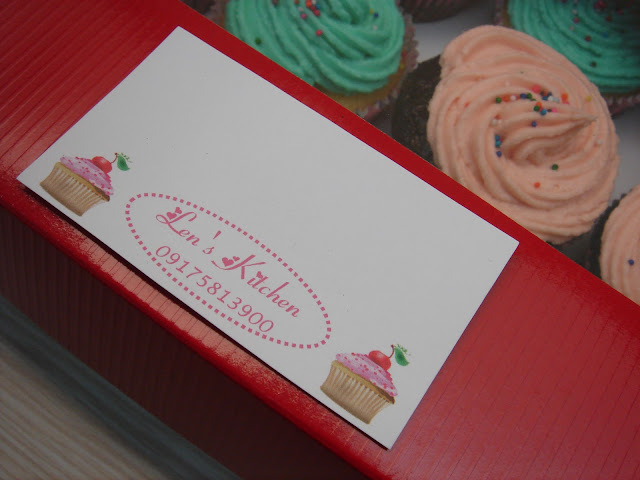 What I'm loving now: Yummy cupcakes from Len's Kitchen! I've finally tasted these yummy cupcakes from Len's Kitchen - baked of course by no less than my talented friend and college barkada from Assumption, Len Sobremonte-Rosario. 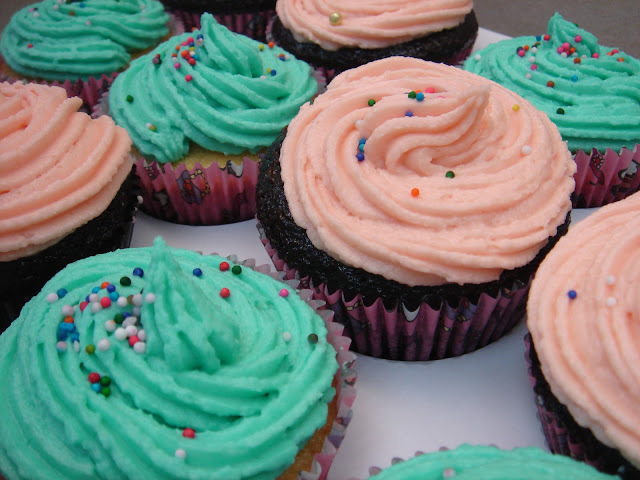 Len makes these yummy chocolate and vanilla cupcakes (also available in red velvet) in creamy candy-colored butter cream frosting. When the cupcakes arrived, they smelled so yummy! I also couldn't help but admire how pretty they are! 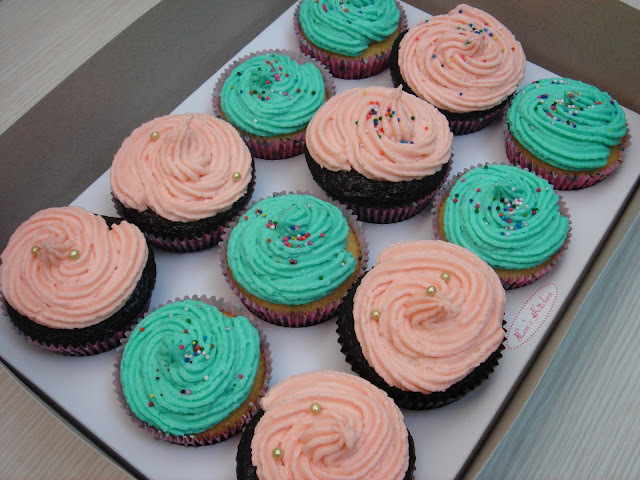 These cupcakes could make nice gifts for friends and family and are reasonably priced at PHP 30 each. Aside from Len's vanilla, chocolate and red velvet cupcakes with butter cream frosting, Len also has other yummy desserts available: Nutella Cheesecake, Blueberry Cheesecake, Carrot Cake with Cream Cheese Frosting, Apple Pie, Leche Flan and Ensaymadas. For orders and inquiries, call Len Sobremonte-Rosario at 0917-581-3900. Congratulations Len! I'm sure Christmas will be a busy season for you! Love the cupcakes!